In 2015, the Financial Conduct Authority (FCA) defined RegTech as “a subset of FinTech that focuses on technologies that facilitate the delivery of regulatory requirements more efficiently and effectively than existing capabilities.” The term RegTech, a portmanteau of regulation and technology, has since evolved to apply to companies that develop agile and scalable technologies that help financial services firms reduce the time and cost of compliance with regulatory requirements by addressing and minimizing pain points and bottlenecks in the compliance and risk management functions. Following the 2008 global financial crisis, financial regulators were keenly interested in avoiding a repeat of a crisis that had far-reaching impacts across the globe. 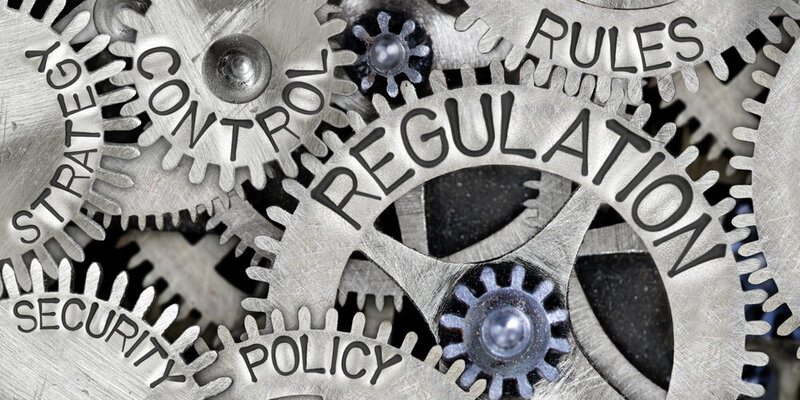 In order to restore and promote stability across the global financial system, regulators focused on greater risk controls, more conservative capital requirements, and increased transparency around risk exposure. This regulatory evolution created many challenges for financial services firms including adopting new risk management approaches and adapting their businesses to absorb the impact of more stringent capital requirements in specific markets and asset classes. The rapid growth of RegTech in the last decade is a direct response to increasing regulatory scrutiny and the subsequent search for more efficient techniques to achieve compliance. Forbes recently highlighted a report that found regulators generated more than 50,000 documents between 2009 and 2014, a five-fold increase over the previous five years. Given the staggering cost of compliance and the sheer pace of regulatory change, it’s no wonder that investments by everyone from venture capital firms to financial institutions are pouring into RegTech companies. Global RegTech investment grew more than nine-fold from $412M in 2013 to more than $1.8B in 2017, an increase of 45.9% CAGR. The first three quarters of 2018 saw another significant jump to $3.8B in total dollars invested in RegTech with no signs of slowing. The global RegTech market is expected to grow to $12.3B by 2023, at a CAGR of 23.5%. The total number of deals may not grow as fast as total capital invested as investors gain more experience in RegTech and prioritize quality over quantity. As money pours into the RegTech space, startups are aiming to address some of the most pressing regulatory issues. Current focus areas within the RegTech ecosystem include regulatory reporting, risk management, identity management and control, compliance, and transaction monitoring. In addition to the continued growth and maturity of current RegTech solutions, the next wave of innovation in RegTech will see advancements in cyber security, data privacy, market surveillance, and advanced fraud protection. Continued advancements in key enabling technologies such data analytics, artificial intelligence, cognitive computing, distributed ledger technology, and quantum computing promise to lead to even more efficient RegTech solutions. Innovative new partnership structures may also yield new players in the RegTech ecosystem. For example, the FCA and the Monetary Authority of Singapore have created dedicated testing spaces known as “sandboxes” to experiment with emerging financial services technologies. It is yet to be seen if any of these sandboxes bear fruit; however, the mere fact that they exist speaks to regulators’ increasing openness to integrate new technologies into the global financial system. Beyond their functional applications, RegTech also offers opportunities to gain a competitive advantage, deliver consumer-centric innovations, and improve integration of adjacent technologies. As Monticello Consulting Group looks forward to 2019 and beyond, the influx of investment capital and continued advancement of the underlying technologies in the RegTech space will allow compelling value propositions to emerge for financial services firms looking to lower the cost of and increase transparency in their compliance operations. Monticello Consulting Group has managed some of the most transformational technology programs on Wall Street with services that include business process analysis, data science, automation, testing governance, and IT project management. Our in-depth knowledge of banking and capital markets operations uniquely positions us to guide our clients in the deployment of the latest technologies – including RegTech – that can accelerate innovation, reduce risk, and drive business volumes at a lower total cost of ownership.